Brittani Baxter of Branding Science explores respiratory disorders and what pharma can learn from online conversations in this space. Respiratory disorders are, unfortunately, a common ailment in modern society – recent research from the World Health Organization and CDC (Centers for Disease Control and Prevention) has estimated that roughly 300 million patients worldwide and approximately 1 in 12 people in the United States suffer from asthma alone. Thus, many people know the struggle of living with a respiratory disease. Where do conversations around respiratory disorders take place? With the rise of new forms of engaging patient resources such as social media and online message boards, there are a growing number of resources to serve this large patient group – many of them created by and for patients themselves. Such patient-driven engagement is particularly valuable for respiratory disorder patients who, given the chronic nature of their condition, may be especially motivated to seek out information about their disease in search of an improved quality of life. Additionally, online communities can benefit those who do not know many fellow disease sufferers in real life, creating a support group of fellow patients who “get” what it’s like to live with a respiratory disorder. We have found the online respiratory disorder conversation to be particularly interesting. The large patient community and relatively open manner in which patients can discuss their health issues (asthma and COPD are not stigmatized so patients are willing to hold frequent and candid conversations) serve to create a conversation that lends itself well to external understanding. These rich patient-to-patient conversations have been enabled by both innovative new platforms and the innovative use of existing platforms as well. Resources for patients include healthcare-specific sites like PatientsLikeMe, which is home to over 250,000 patients, 14,400 of whom are engaging specifically in conversations about respiratory disorders. Patient-driven conversations also occur on more general platforms like Facebook, where closed groups connect individuals around the world who would like to talk about living and coping with their diseases. A quick search for respiratory disorder-focused Facebook groups turns up a few dozen patient-driven groups, which in total host the conversations of thousands of members. Twitter hosts many a rich conversation as well: in March 2014, there were 1,875 tweets that incorporated “#asthma.” Additionally, the site was host to an especially high-quality discussion around the American Academy of Allergy, Asthma, and Immunology’s annual meeting, with 139 unique tweets tagged “#AAAAI.” By virtue of their appearance on Twitter, a layperson-focused platform, such conversations provide easy access to information for patients as well as professionals. Note that while these numbers are impressive, given the large number of patients with respiratory disorders who have the potential to engage, it is clear that online communication between these patients is only just getting started. As access to technology – especially mobile technology – continues to improve across demographic segments and around the globe, we expect to see this engagement increase steadily. What are respiratory disease patients talking about? Now that we know where these patients live online, the question becomes “what are they actually talking about?” Information sought and shared by patients can be diverse, ranging from the purely medically-focused (e.g. “hey, you might want to ask your doctor about this new treatment…”) to the more day-to-day (e.g. “this is how I reduce the frequency of my attacks…”). As the patient population is so large, patients who are motivated to seek information like tips for daily living and advice on treatments can easily connect with fellow patients who are happy to share their experiences. Some patients may even deem information from their peers or online influencers to be more useful or relevant than doctor-provided information, as peer-provided and / or personally-gathered information may be seen as less biased and more authentic. All of this results in an exciting new set of resources for patients, but comes with some potential pitfalls too. One of the greatest challenges currently facing respiratory disease patients who seek out information online may not be finding information or knowing what to do with it, but instead, knowing what part of that information is accurate and actionable. This need for direction in these online conversations creates a fresh opportunity for pharmaceutical brands and other stakeholders to step in and demonstrate leadership in content and thought. Pharma has a strong history of providing quality resources that are useful in the conversations that occur between reps and doctors, as well as doctors and patients. However, new online channels for patient engagement create opportunities for pharma brands to both gain valuable insight and demonstrate their value directly to patients, especially for large patient populations like those of asthma and COPD. As an initial step, analysis of patient-to-patient conversations can aid brand teams in identifying the current unmet needs of respiratory disorder patients as well as patients’ perceptions of various brands and treatments. The scale of these online communities provides a fantastic and new kind of opportunity for brands to (with the communities’ consent as needed) collect honest, unfiltered feedback from scores more patients than are accessible in more traditional forms of market research like surveys and focus groups. Online platforms that host rich conversations (versus many small posts) offer the added benefit of illustrating the types of patient-to-patient conversations that may be occurring in real life as well. Further, the online respiratory disorder conversation is worth attention because it will continue to serve as a trusted additional stream of (non-promotional) information for many patients in addition to what they learn from their doctors. Information that is readily available online has the potential to change the conversations that patients have with their doctors from a sort of teacher-student relationship to more of a two-way street, elevating the patient’s status as an empowered stakeholder in treatment decisions. Thus, there exists a great opportunity for brand teams and other stakeholders to communicate patient-specific information and advice to support consumers while collecting meaningful feedback on such efforts. In addition to mainstream social media channels, online resources like branded message boards and webpages provide an excellent home for such information and resulting conversation. In sum, online patient platforms are growing to allow for fantastically substantive conversations from all players in respiratory diseases – from researchers to patients and everyone in between. These accessible-from-anywhere resources that are being created by both patients and thought leaders have the potential to offer real value to both this large pool of chronic patients and the world of pharma. It’s an exciting time to be part of the conversation! Brittani Baxter is a researcher in Branding Science’s San Francisco office, working on both qualitative and quantitative market research. She has a special interest in using innovative digital methodologies to round out brand teams’ understanding of patients’ perspectives. 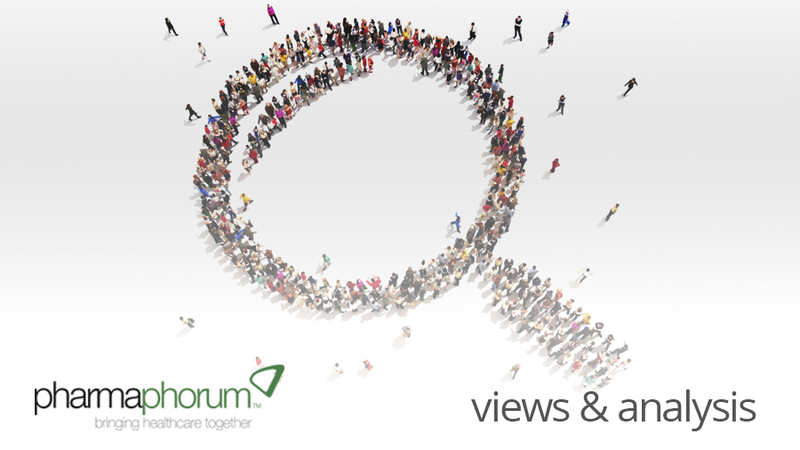 Have your say: What are respiratory disease patients talking about?